In any form of investment, risk is absolutely fundamental and you can’t expect any returns on your investment without considerable amount of risk associated with it. Novice traders find it difficult to figure out the difference between high risk and low risk trading. Investors should know how to mitigate risk by diversifying their portfolio and must avoid investing their entire capital in one particular stock or sector which can prove absolutely fatal. There are plenty of high risk trading apps designed for mobile platforms and some of the widely used apps are listed below. Trade Interceptor is a powerful mobile trading platform which offers the flexibility for users to maintain a diverse portfolio by trading binary options, commodities or forex currencies based on their market interest. The App is designed with an intuitive user interface which provides access to powerful market analysis tools as well as technical indicators. It was awarded as the “Best Mobile Platform” by Forex industry since it offers the most advanced and efficient technology for mobile trading. Users can access the live-streaming quotes and charts to get latest updates on the market. Trade Interceptor offers abundant tools for market analysis which includes more than eighty technical analysis indicators, forty graphic tools and several pattern recognition tools. Users are notified instantly through mobile alerts to indicate any significant market changes based on oscillators, technical analysis indicators or price level changes in the market. Users can get access to competitive forex spreads of suggested brokers through this App. This is the only trading app with possibilities for choosing from a wide range of portfolio including commodities, Forex currency pairs as well as binary options. The App also includes an Economic calendar with alerts for important financial events such as U.S jobs report, interest rate hike etc. You can configure customized alarms as well as manage your orders through the trade charts present inside the App. Trading can be done by users through a single login since both Desktop and Mobile Apps are seamlessly synchronized. Trader’s Gym is another unique feature of this App which allows users to practice their trades in a simulated environment using actual data from the past. If you are interested in trading binary options from anywhere and anytime, anyoption is the best mobile trading platform for you. It is the most advanced and regulated trading platform for binary options that guarantees up to 80% returns on your investment. You can download anyoption App for free from Google Play which is considered to be the trendsetter for binary options trading. Binary options are relatively easier to understand compared to stocks and equities. All you need to do is select an underlying asset for trading which could be a Forex Currency pair, commodity like Gold or Silver, stocks, Indexes etc. and predict the price fluctuation of the asset over certain time period. If your speculation is correct, you can gain up to 81% of your investment or you will lose the entire sum invested on that particular trade if your prediction goes wrong. The only trading platform which offers up to 25% refund if you lose is anyoption mobile trading platform. The app helps users to monitor their open positions easily, take new positions in order to maximize their ROI or close them as needed. It allows users to modify the profit percentage and invested amount by modifying the “Profit” and “Invest” fields present at the bottom of the App. It has an intuitive and user-friendly interface. The anyoption App offers more than hundred underlying assets for traders to select from such as commodities, stocks, Indices and Forex currency pairs and permits them to choose either “put” or “call” option based on their market speculation. The anyoption mobile trading app is also seamlessly synchronized with anyoption web account which makes it easier for users to switch between their trading accounts without any hassle. Users can access the App in multiple languages and all their queries are instantly handled by a 24/7 live technical support team. It is the only binary options trading platform which does not charge any hidden fee or commissions. It is also the only certified and regulated binary options trading platform which is registered with financial authorities in the European Union as well as other jurisdictions. FXCM Trading station Mobile is also a popular Forex trading App which is bundled with excellent tools for market analysis. FXCM Trading station mobile offers an elegant and intuitive user interface through which users can access both CFD and forex markets. Users can trade from more than fifty-six currency pairs and also other commodities such as Platinum, Silver, Gold, Oil, Gas, and Copper etc. Trading on Indices such as Dow Jones, S&P and DAX are also possible through FXCM Trading App. Users can access various types of charts such as bar charts, line charts and interactive candlestick charts with numerous time ranges. 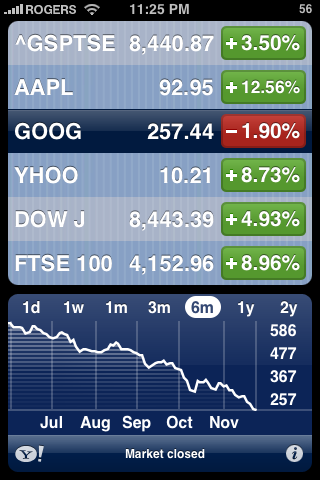 Users can also view streaming market news and in-built economic calendar hosted inside the App. There are varieties of technical indicators bundled with this App such as Trend lines, Fibonacci, RSI and chart indicators which help traders analyze the market trends. Users can manage and place trades with basic, advanced and complex Orders types. FXCM also offers free demo accounts for novice traders to enjoy a risk-free trial of their trading platform. TradeKing Mobile is a well-known trading App based on Android platform which allows users to Trade stocks with simple and complex options. 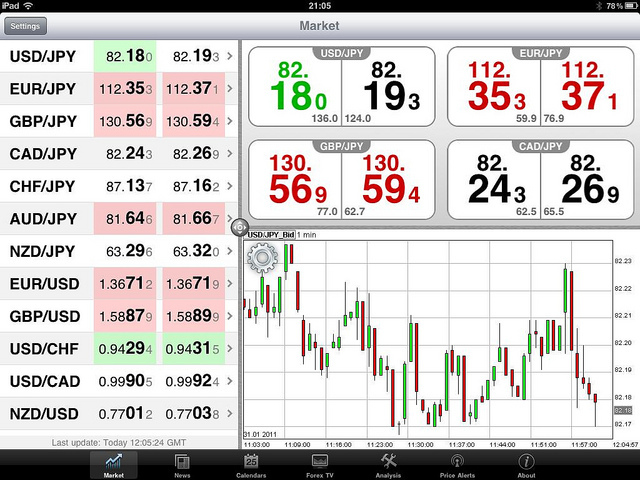 Users can monitor their open positions by viewing the live streaming quotes in the display. Users will also be notified with customized stock alerts through SMS based on charts, technical indicators or oscillators. Users can get access to advanced technical indicators like Fibonacci, trend charts, candlestick charts, RSI, Moving Averages etc. Tradeking Mobile App allows users to access their trading accounts in secure manner without having to sign in every time while using the App. 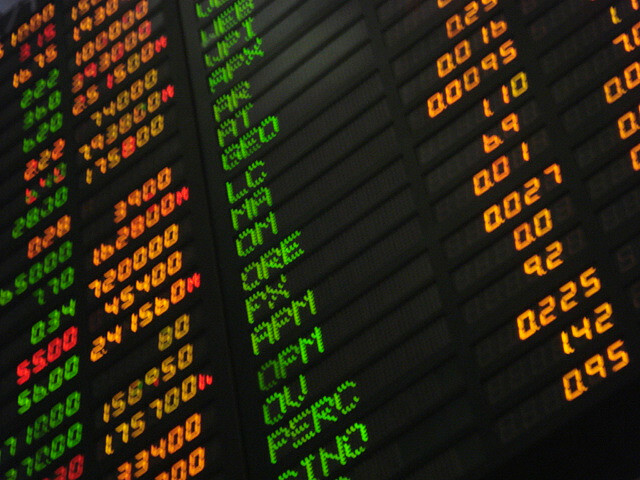 It also allows users to stay updated on latest market news and important financial announcements. Users can find better investment opportunities with the help of various market analysis tools available inside the App. E*TRADE Mobile is also a widely-used trading App based on Android platform with customizable dashboard screen that displays real-time streaming quotes of the stocks in your watch-list. E*TRADE Mobile provides the flexibility for users to trade stocks, mutual funds, ETFs and options. Users can invest and manage a wide portfolio of assets spanning up to nineteen columns of expandable data. Also users can setup customized watch lists and get instant notifications for any significant movements of stocks in their watch list. E*TRADE mobile allows users to deposit and transfer money instantly from multiple trading accounts. Users can also access the live streaming of market news from CNBC and perform extensive research on mutual funds, stocks and ETFs (Exchange-Traded Funds). E*TRADE Mobile offers free educational videos on various trading strategies which is very helpful for novice traders. Users can access the economic calendar within the App and will get notified for all the important financial announcements. E*TRADE mobile is very a very user-friendly App with simple user-interface that lets users to easily manage their stock portfolio. 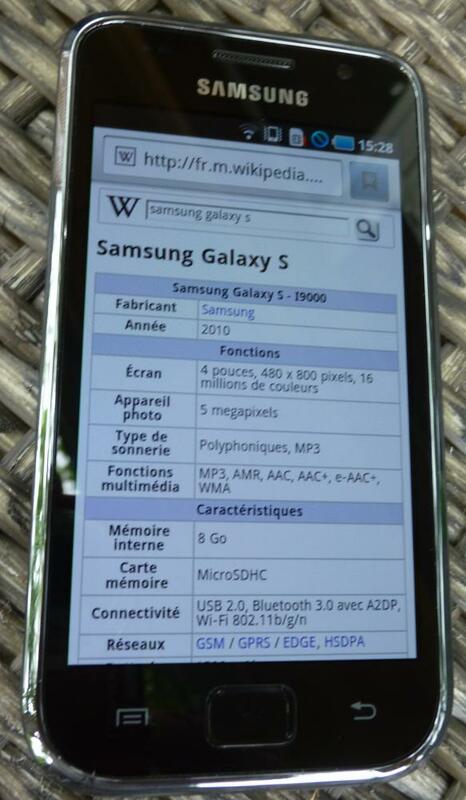 What Accessories Are Available For Samsung Galaxy S5?